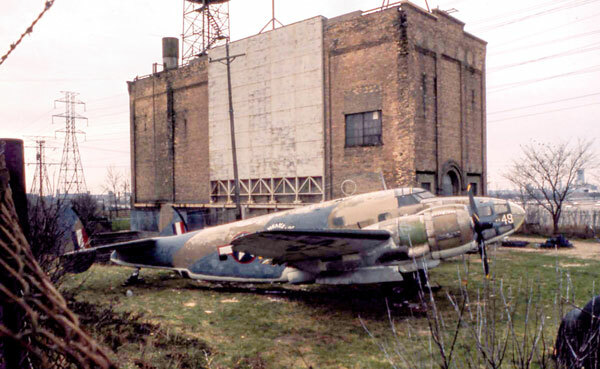 For decades, a World War II-vintage airplane sat next to the nondescript building in Lauderdale, something of a curiosity to those passing the intersection of Highway 280 and Larpenteur Avenue. Occasionally, in the dark of night, a simulated bolt of lightning would arc from a building doorway and zap the plane, adding to the mystique about the place. There was, of course, nothing sinister going on. To the contrary, the tests being conducted helped make the skies safer for aviation. The plane was a Lockheed RB- 37 bomber, the U.S. Army’s version of the Navy PV-2 Ventura. It was one of a group of such planes originally intended for use by the British through the Lend-Lease Act, but never sent overseas. The adjacent building was home to the Lightning and Transients Research Institute, founded by University of Minnesota faculty in the 1940s to study lightning’s effects on power lines and transformers. Following World War II, the researchers moved to Lauderdale and turned their attention to aircraft, ocean-going vessels and, eventually, early computers. In that postwar era, military and commercial aircraft were flying higher and faster than ever before in adverse weather conditions, according to Noel Allard, chairman of the Minnesota Aviation Hall of Fame. “High static buildup on aircraft bodies caused such things as St. Elmo’s Fire, a form of electrical glow, resulting in rolling balls of lightning along the wings and cockpit canopies,” Allard said. “This didn’t just spook the crews, it interfered with radios and early radar gear, knocking out navigational components and making radio communication impossible. Taking over a former Northern States Power substation, the institute contracted with airplane manufacturers such as Lockheed and Boeing and helped develop federal standards for aircraft and electrical component shielding. In addition to the RB-37, there were also nose cones and other aircraft parts used in the testing scattered around the grounds. Visitors to the research institute recall its three-story arrays of transformer coils and capacitors— Allard likened the setting to Dr. Zharkov’s laboratory in the Flash Gordon movies—and the trolley-like device that could be rolled out a door to send lightning-like bolts at the RB-37. The research institute went out of business sometime in the 1970s, and today the site is an Xcel Energy substation. What about the old bomber, which, as it turns out, is the last of its kind? Initially it was displayed at an aircraft museum in Pueblo, Colo., but today has a permanent home in the National Museum of the U.S. Air Force at Wright-Patterson Air Force Base, near Dayton, Ohio. January 6, 2017 at 12:18 pm.01. Thanks, Gib, I was not aware of that site. Interesting! 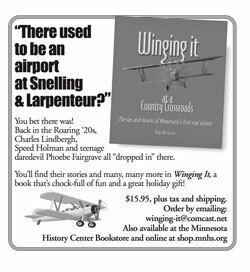 I found a mention of the plane on the Pueblo museum’s site, so I knew it had been there. Another reader told me he had seen the plane at Wright-Patterson. I appreciate your feedback! 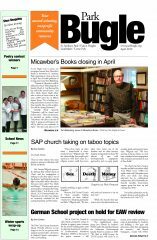 Please keep reading the Park Bugle! January 5, 2017 at 12:18 am.01. Hi Roger. I particularly enjoyed reading your last column about the old bomber that used to be at the Lightening Transients research station. I remember the plane and that station very well, even took some pix of all that years ago – from the shoulder of 280! Thanks again for the fine article, and keep ’em coming!